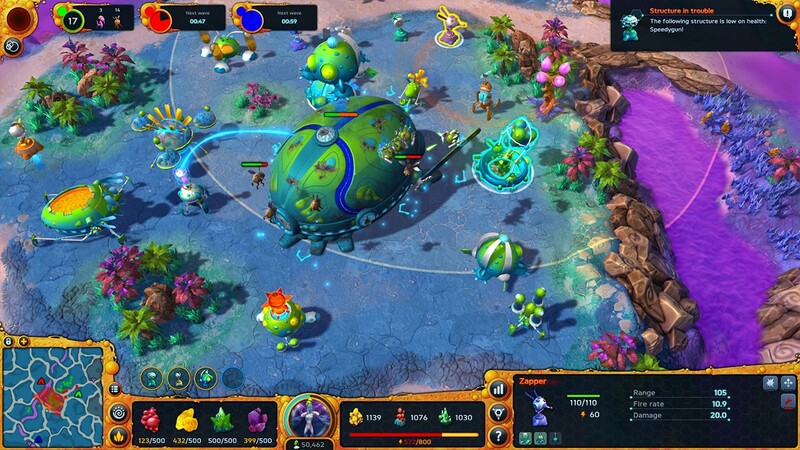 Hypernova combines classic real-time strategy with tower defense in a vast open world, becoming something special in the process – the original RTDS! 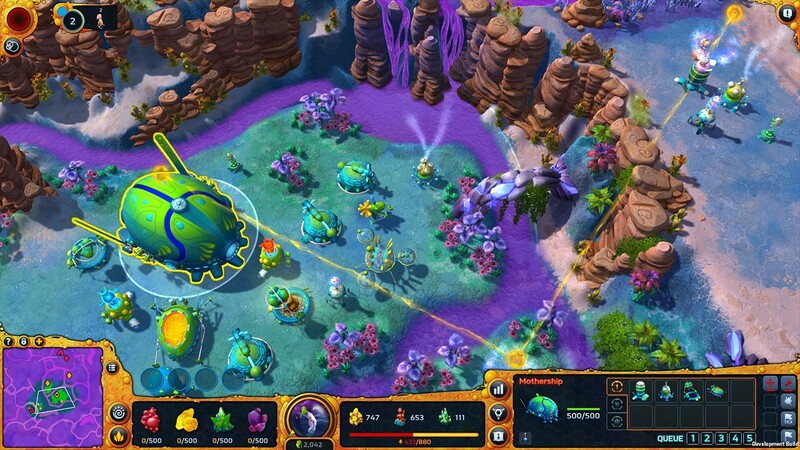 You decide where to land the mothership on a strange planet, what resources to gather, which tech to research and where to put or move the defense towers to combat waves of humorous beasts. 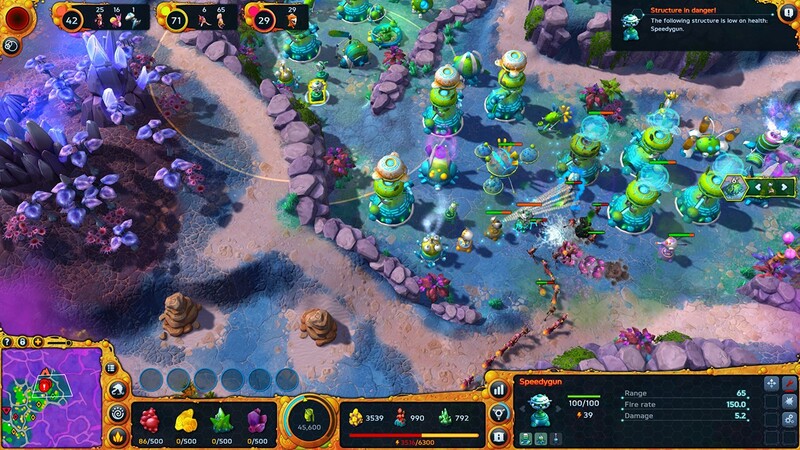 The alien world of Hadea is colorful and charming, but make no mistake: this is a deep and diverse strategy game with old school sensibilities. Do you like RTS games? How about tower defense? 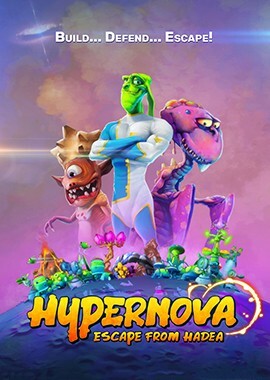 Then do make sure to play Hypernova! 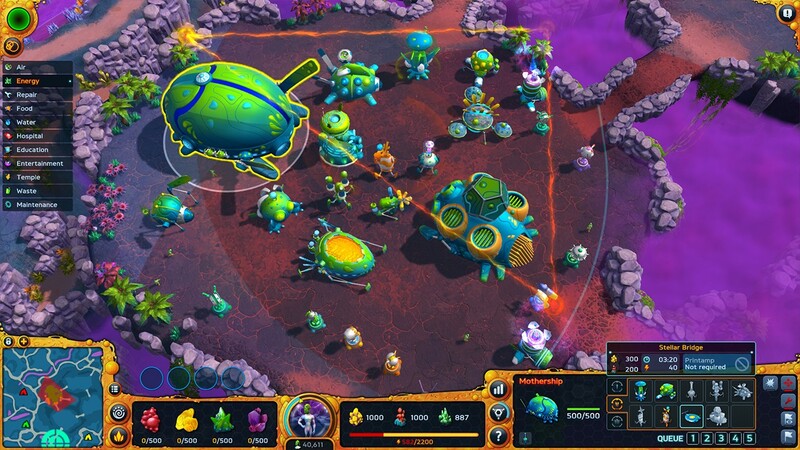 In this exciting and innovative mélange of RTS and TD, a planetary system is in danger. Its star is becoming unstable. Realizing it is only a matter of time before an apocalyptic explosion destroys their entire planet, the Scynthians devise a plan to escape and rebuild the civilization somewhere else. The salvation lies in an interstellar teleportation device. Unfortunately, the raw materials required to build and power up such a device have long since been depleted. The only place offering more is a nearby moon Haya, an inhospitable world with a toxic corrosive atmosphere, inhabited by strange creatures. In a desperate effort to save their race, the Scynthians send an expedition there to find a way to power the escape technology and save their culture from extinction. Engage in a role of a Scynthian leader and make the first step towards saving this long-living and long-eared race from oblivion. Explore the unique environment of the moon Haya and discover several types of landscape. 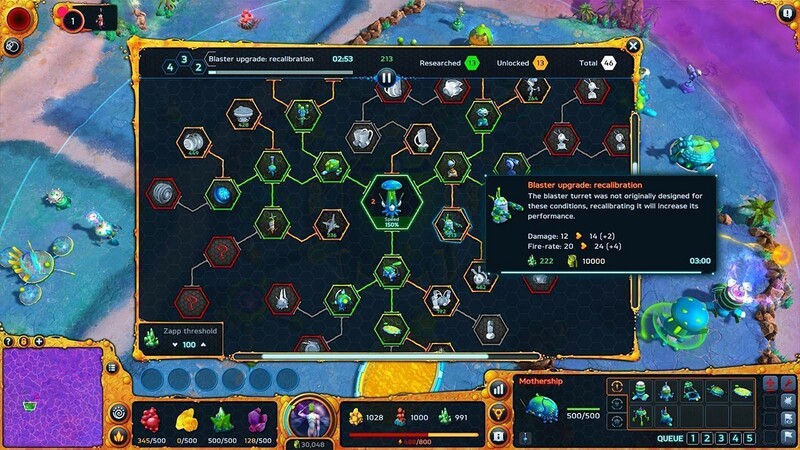 Search for minerals that can be used to build and power up the Scynthian technology. Build settlements allowing the Scynthians to survive Haya’s harsh conditions. Non-linearly unlock technologies in the vast tech tree. Build a tower defense system to combat nasty native creatures. Build and power up the Stellar Bridge, a teleportation device. Look for ancient relics around the moon. Have enormous amount of fun in this authentic blend of RTS and TD!